Everybody has to sleep in sometimes to catch up on sleep. Otherwise, you might start to feel too tired to function properly because sleep deprivation can cause many negative effects on your brain and body. However, sometimes, sleeping in later is not as beneficial as it might feel because it can actually cause some harm in your brain. You are more creative at night. Studies show that, to be creative and original, poor concentration is actually a good thing because it can be helpful for your brain to wander to irrelevant topics. These irrelevant topics can actually inspire you in ways that you might not have expected. Before bed, people tend to have a harder time with concentration because they are more tired than they would be earlier in the day. However, this lack of concentration can help you produce your most original ideas. People who wake up later in the day are not necessarily night owls. However, if you get in the habit of rising later, then you will probably have an easier time with going to bed later as well, which can be helpful if you need to be creative. Many writers, for example, claim that they get their best work done at night. They say the late-night writing might be sloppier because they are not well rested, but the ideas are better quality and more interesting. Even people who do not work in the creative arts disciplines sometimes need to come up with creative ideas for their work and it might be easier for you to generate these ideas at night. 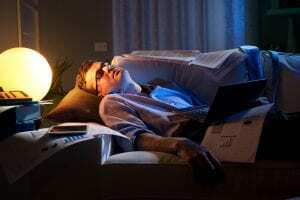 It is hypothesized that this tendency towards creativity is part of why night owls often have a higher IQ and score well on other intelligence tests as well. You need to avoid oversleeping. If you are getting enough sleep at night, then there is little reason to sleep in late except for the fact it sometimes feels good and it can be a hard habit to break. Teenagers tend to go to bed late and wake up late, but adults normally have trouble staying up super late. However, adults still sometimes find it easy to keep sleeping late, especially on weekends. 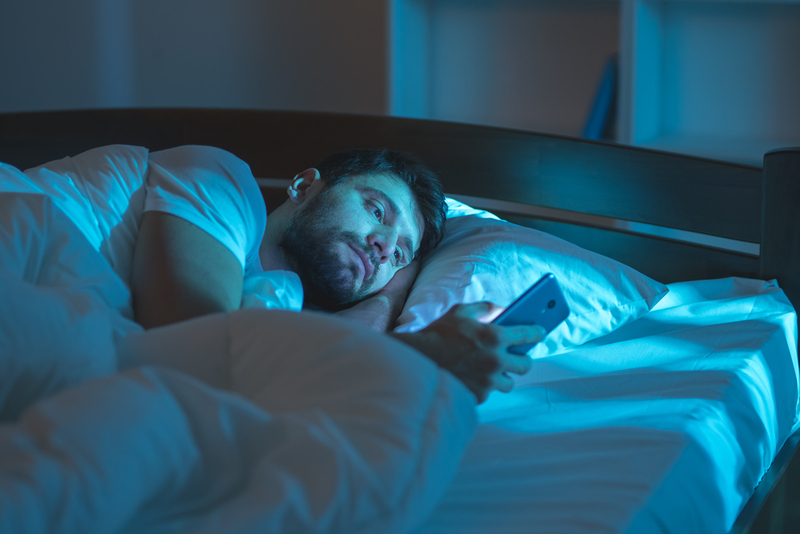 Unfortunately, going to bed early and sleeping late is not always a good combination because oversleeping can be detrimental to your health. It can cause you have impaired brain function and mental health problems. 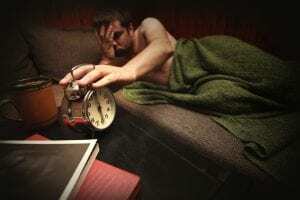 Problems associated with oversleeping include cognitive impairment, depression, inflammation, pain, impotence and infertility, obesity, diabetes, heart disease, stroke, immune system problems, fatigue, and death. At most, you probably only need nine or ten hours a night, but most doctors recommend sticking to about eight hours of sleep. If you went to bed at a reasonable hour and managed to sleep through most of the night, then there is every reason to avoid sleep in late. Even if you only choose to sleep late on weekends, it can throw off your circadian rhythm and can cause you have sleep problems throughout the entire work week, so you probably want to set an alarm clock in the morning on weekends too. You probably heard that people need around six to eight hours of sleep in order to function properly. However, many people might actually need a little bit more than that. Some research suggests that ten hours of sleep is actually optimal for ensuring focus throughout the day. Others studies insist eight hours is enough because more than that can cause a couple of health problems. Regardless of how much sleep is ideal, you definitely need to make sure that you are getting enough of it, which might mean that you should sleep in late. If you went to bed later or if you have trouble staying asleep throughout the night, you should definitely try to find a time to catch up on your lost sleep and try to use best CBD oil for sleep. Otherwise, you can suffer from sleep deprivation, which can cause many problems to your health. Symptoms of sleep deprivation include moodiness, fatigue, irritability, depression, difficulty learning, forgetfulness, difficulty with concentration, insufficient motivation, lack of coordination, increased appetite, sugar and carb cravings, decreased libido, difficulty fighting infections, lung problems, weight changes, blood pressure changes, and testosterone level chances. All these symptoms put you at a greater risk for many serious health concerns, including chronic illnesses, cardiovascular diseases, and inflammation. Therefore, it is important that you get enough sleep nightly, which means you are sometimes going to have to sleep in late. People who sleep late tend to skip out on breakfast, especially if sleeping late made it so that you do not have a lot of time in the morning to get ready for your day. You might need that extra sleep to feel energized and focused, but you need breakfast for energy and focus as well. You do not eat at all when you sleep, so your body is deprived of many nutrients when you first wake up. If you do not ensure that your body gets these key morning nutrients, you will go into starvation mode, which means you will have decreased brain function. Other parts of your body will not function effectively or efficiently either and constantly skipping breakfast can put you at risk for certain diseases and infections. Additionally, you will be so hungry for lunch that you might end up overeating during lunch, which can lead to weight to gain. People in starvation mode also tend to crave unhealthy foods that are high in sugar content and calories without containing any other key nutrients. These cravings often compel people to eat processed sugars or salty snacks that can hurt your longer term health. Therefore, if you are sacrificing your breakfast to sleep late, then you might want to consider waking up a little bit earlier. You should definitely do whatever you can to avoid sleep deprivation, so it might be important for you to start getting up a little later every so often. However, you definitely do not want to get into this habit unless you are not getting enough hours of sleep at night. Otherwise, sleeping in late can be problematic for your health.